Hi, I'm Esther Blum. 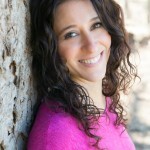 I am an Integrative Dietitian, bestselling author, and lifestyle coach. If you'd like to become an Intuitarian so you can connect with your body’s wants and needs, restore your inherent knowledge and wisdom, and heal yourself on a level deeper than you’ve ever known, let's talk! If this sounds a little woo woo to you, fear not. I’m a tactical ninja when it comes to closing the gap between what you want and teaching you exactly how to get it. Not only will you receive couture coaching to get the specific results you are looking for, but you will also come away with a glitter-encrusted tool belt you can use for the rest of your life. Couture coaching is a personally tailored, one-of-a-kind, physical, spiritual, emotional and psychological roadmap specifically suited to your unique needs. It’s the antidote to years of buying off-the-rack instructions that generated feelings of stress, failure, and zero results in your body and your life. This type of customized coaching provides the foundation you need to get crystal clear about your goals and create a plan of action that busts through the emotional stumbling blocks that are holding you back and keeping you stuck. Who am I and why am I the person you should choose to work with? In a nutshell, I am you. I have followed every type of diet from Paleo to vegan and everything between. My weight has had its ups and downs. I personally overcame a wicked case of Epstein Barr Virus and know how important it is to have support and guidance throughout the healing process. While learning to heal myself, I also learned the weapons of mass destruction for putting chronic illnesses to rest and strategic weight loss moves to help me shed the extra pounds I gained when my thyroid was knocked out. And so I will teach you my best tools to empower you through your journey and get your life back. My approach to eating and life is joyous, vibrant, deeply pleasurable, and wickedly FUN. When we work together, you will build a foundation of health with super simple but effective methods that don’t require calorie counting, feeling unhappy and starving, or like you’ve sold your soul to the devil just to fit into your skinny jeans. You will have the power to create for yourself boundless energy, mental clarity, and pure joy in your life! The natural ability to intuit your health needs, restore your energy and balance with laughter and compassion, and put you into your most powerFULL frame of mind is my gift. Our space and time together are about lighting you up, unearthing all that’s inside of you, and helping you truly see all you are capable of achieving for yourself. And then taking your big, fat, juicy dreams and turning them into reality so that getting exactly what you want becomes your new normal. You will learn to trust yourself to make food choices that are in sync with what your body needs, ultimately waking up the pieces of you that have fallen asleep. The joy I experience in watching someone allow herself to have what she wants is a pleasure unlike any other – and it would be my privilege to serve you. I look forward to helping you access your most powerful self, help you understand how close you are to having everything that you want, and helping you transform your mind, body, and soul through couture coaching and high impact experiential weekends. Click here to receive my free ebook and receive weekly coaching to help you reclaim the body you want and deserve: www.estherblum.com.